I REALLY REALLY wish I could go, but I've also got a team going to VEX Worlds, which is in Anaheim the SAME WEEKEND!! 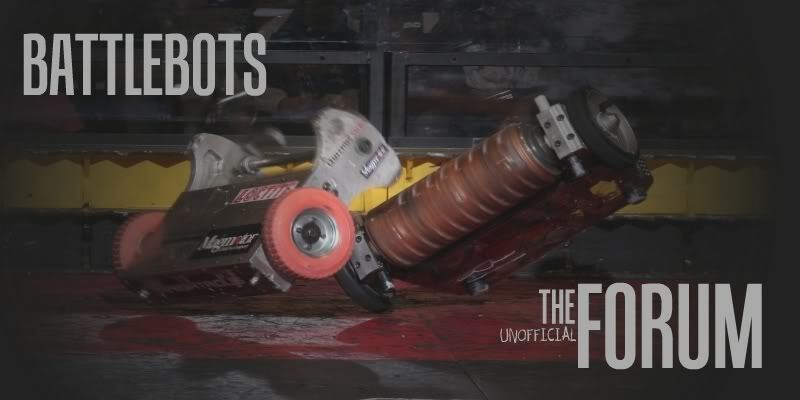 At first I was hoping I could take one group to Robogames and have someone else chaperone the VEX team, but then the school said, essentially, "are you nuts?" Also, the Seniors (who are the default 120 builders at our school) realized that PROM IS ALSO THE SAME WEEKEND. So they decided not to build one. We are planning on having a tournament for the mini robots on 4/27/13 up in Bloomsburg, PA. Any and all teams in FL are more than welcome to join the northern schools in a day of robot combat. Nola is working against you (again, but unintentionally as far as I know)--The weekend of April 27 is the 'big' event down here. It's just 15's and 3's, plus some VEX based thing she's cooking up. Also maybe LEGO and a basswood bridge competition, but we'll see. . Anyway, I think it would be a lot more interesting to go to your event, but so much cheaper to do the local one that it's really not any question. Also, I will probably have to help with the VEX arena and the bridge competition. I KNOW you will put on a great event, Mr. Marshall--I still tell my students stories of the great bots 'up north,' and how they would occasionally come down here to show us how it's done. Since the robotic events down in Florida aren't really published up here in any format, we selected a date that was best for the programs that already exist up in this neck of the woods. Unfortunately, it appears there will be a conflict in this year's event on April 27th 2013. We will be hosting this event on an annual basis. Most likely, we will be having two events per year at different locations in the Northeastern US. Hopefully the first event will set the bar high enough for all future events.